Purchase Knob is a "new" section of the Great Smoky Mountains National Park (near Maggie Valley) with wonderful vistas from 5,000 feet elevation, an impressive research center and a great hike on the Cataloochee Divide Trail. These 500+ acres were donated to the Park in 2000. A former residence on that land was transformed into a science center. The Appalachian Highlands Science Learning Center is part of a network of what will be 32 research learning centers supporting research and education about science in our national parks. 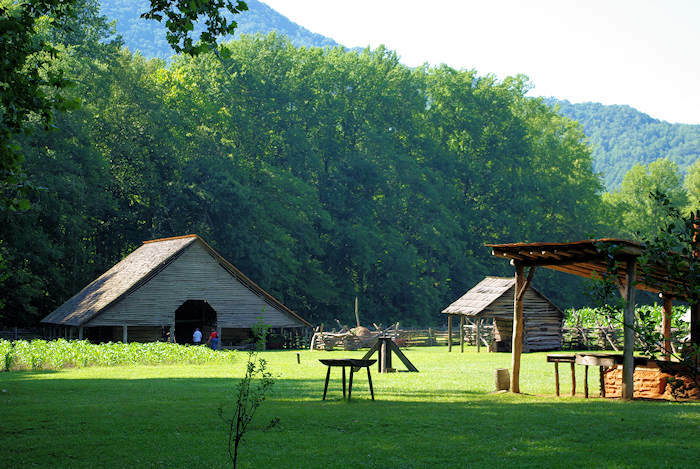 The center at Purchase Knob includes the historic Ferguson Cabin, and a few buildings for offices, laboratory space, a 50-person classroom, and housing for ten visiting scientists. 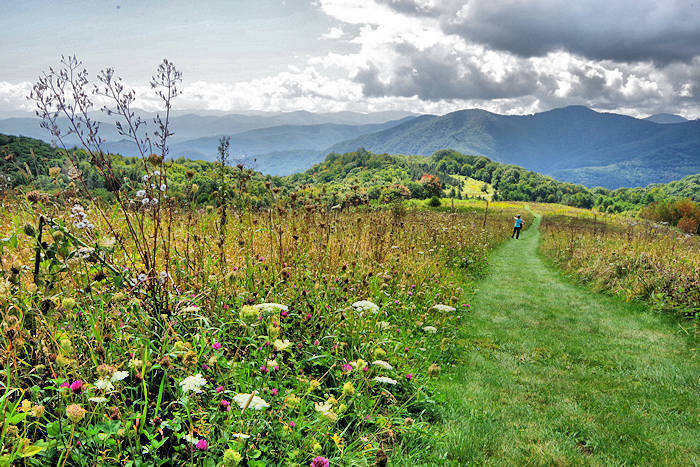 One of our favorite hiking excursions in the Great Smoky Mountains National Park is a 3-mile section of the Cataloochee Divide Trail, taking you across three balds with spectacular views. We like to start from The Swag Country Inn and have a picnic lunch waiting for us afterwards! 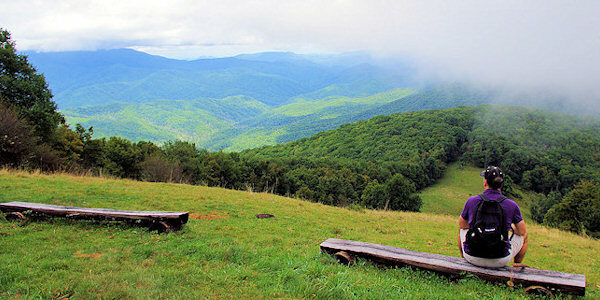 Choose from a 4.1-mile roundtrip hike or extend it to 6.4-miles roundtrip by including Hemphill Bald. 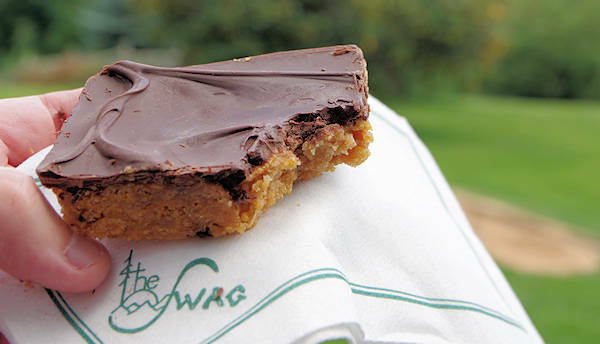 The Swag Country Inn is open mid April through mid November. 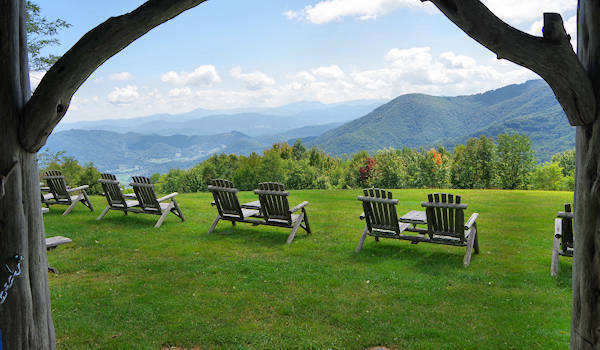 This luxury inn that borders the Great Smoky Mountains National Park at 5,000 feet elevation offers a picnic lunch for day hikers for $25/person, complete with a backpack or picnic basket. Be sure to get their super yummy Swag bar. It's a grand treat after your hike, and they have some of the best outdoor picnic spots around. Advance reservations are required. Ask them to include a printed guide for the hike - it's easy to follow. Read more about them. From The Swag, follow their signs toward Gooseberry Knob. This knoll has many chairs to soak in the view (a great place to rest on the way back). As you walk across their property to Gooseberry, you'll notice a split rail fence to your left. Just on the other side of the fence is the Cataloochee Divide Trail. There's an opening in the fence at Gooseberry Knob or you can continue down their nature trail to another opening. You'll descend through the cool, lush forest a few hundred feet in elevation and ascend back to around 5,000 feet. At one mile from the inn, you'll see the intersection of the McKee Branch Trail to the left. Continue straight to the next trail intersection and turn right at the sign for the Appalachian Highlands Science Learning Center (the sign also shows you are 1.4 miles from The Swag) for a loop section at Purchase Knob. After a short walk through the woods, you will come to a clearing at a big weather station. Panoramic mountain views begin here. Continue past the Science Center. There's nothing to see inside (there may be classes in session). Find public restrooms and a water fountain on the other side of the center. From there, you'll see the meadow trail in front of the center. 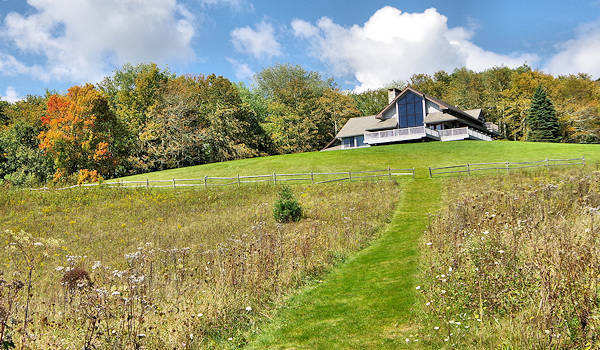 Stroll down through the wildflower meadow and with panoramic views ahead. Next you'll come to a trail on the right to Ferguson Cabin. 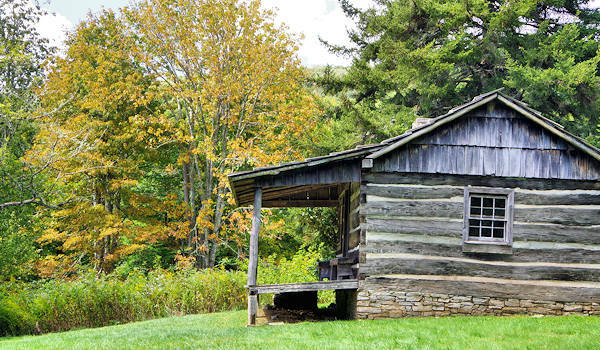 It's the highest cabin in the Smokies (4,700 feet), built in the 1870s. 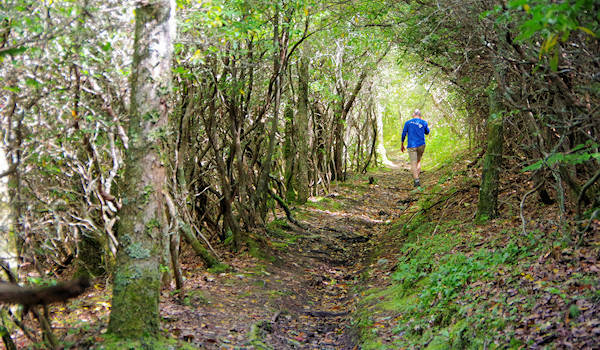 Take a peek inside and continue the trail back to Cataloochee Divide Trail. In about a quarter of a mile, you'll arrive back at the trail intersection with Mckee Branch. Turn left and continue back the one mile to The Swag. That will complete your 4.1-mile hike. If you want to continue to Hemphill Bald on the other side of The Swag, you'll add 2.3 miles and climb about 550 feet in elevation. Sorry, dogs are not allowed on the Great Smoky Mountains National Park trails. Read more about Hemphill Bald. When The Swag is not open (mid November through mid April), you can hike from the Appalachian Highlands Science Center. If the center is closed, you'll need to park at the gate and walk about a half mile up their road to the trail on the left for Ferguson Cabin and Cataloochee Divide Trail. Then you can hike to the Swag or just do the mile loop at the center. There's often snow and ice here in winter. Take I-40 West, 24 miles from the West Asheville Exit turn on Exit 20. Take Rt. 276 south approximately 5 miles and turn right on Hemphill Road. Go 3 miles to The Swag gate or 5 miles to the Science Center. If the center is open, you are welcome to park at the main building and explore the grounds. If the gate is closed, park your car near the gate and walk up. 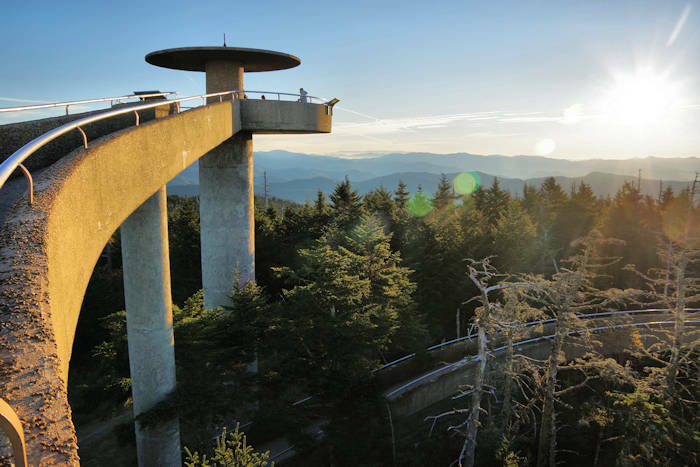 Find more of our favorite hikes in the Great Smoky Mountains. 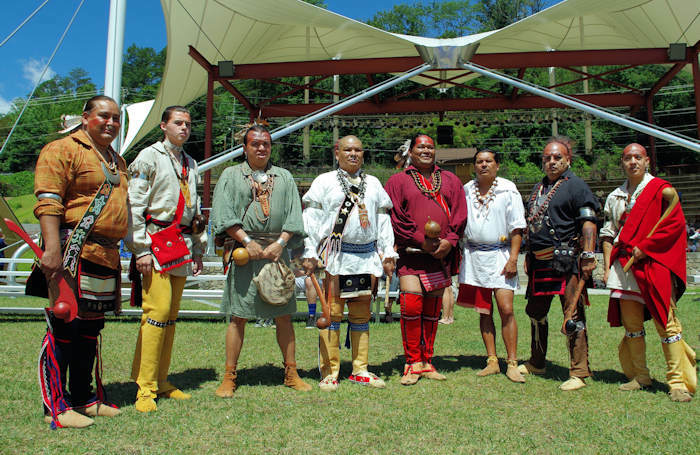 Also, explore nearby towns of Lake Junaluska, Maggie Valley and Waynesville.